Subaru isn’t exactly a big carmaker. With a limited R&D budget and manufacturing footprint, it only makes sense for them to prioritize important markets. In the case of the Forester, North America has been instrumental for Forester sales—accounting for 68 percent of total global numbers. The second-biggest market is Japan at 7.1 percent, followed by Europe (as a whole) and China at 6.7 percent each. 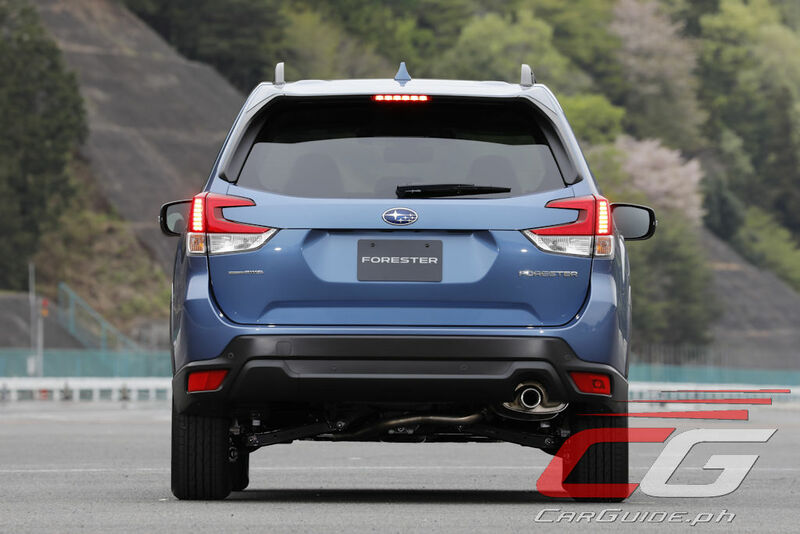 With that in mind, it makes sense for them to focus on North America and this says a lot about the 2019 Forester’s design aspect which we’ll get to in a bit. 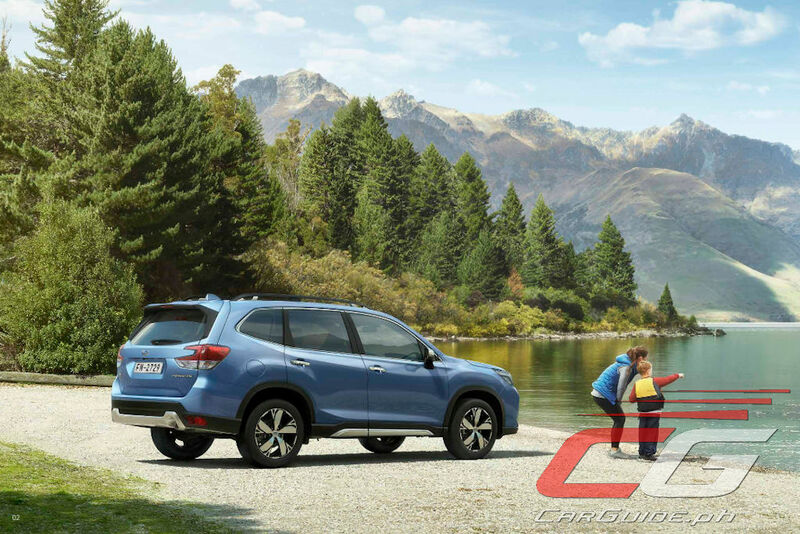 In the Philippines, the Subaru XV and Forester combine for a 64 percent share of annual sales for distributor Motor Image Pilipinas. This year alone, 689 Forester have found a home in the Philippines making it the third best-selling compact crossover (and best-selling all-wheel drive compact crossover) just behind the Honda CR-V and Hyundai Tucson. This echoes closely to what Subaru sees globally with the outgoing fourth-generation model selling more than 140,000 examples since it came out in 2013. Currently, the Subaru XV and Forester add up to 60 percent of Subaru’s entire sales. 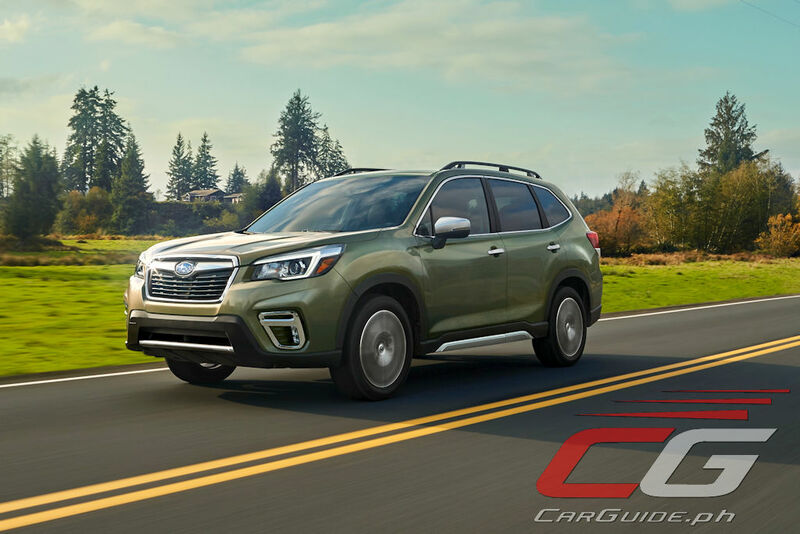 And while the Impreza and Subaru XV still leads at 33.3 percent, the Forester is arguably the most important single model for the brand registering 26.5 percent of sales worldwide. 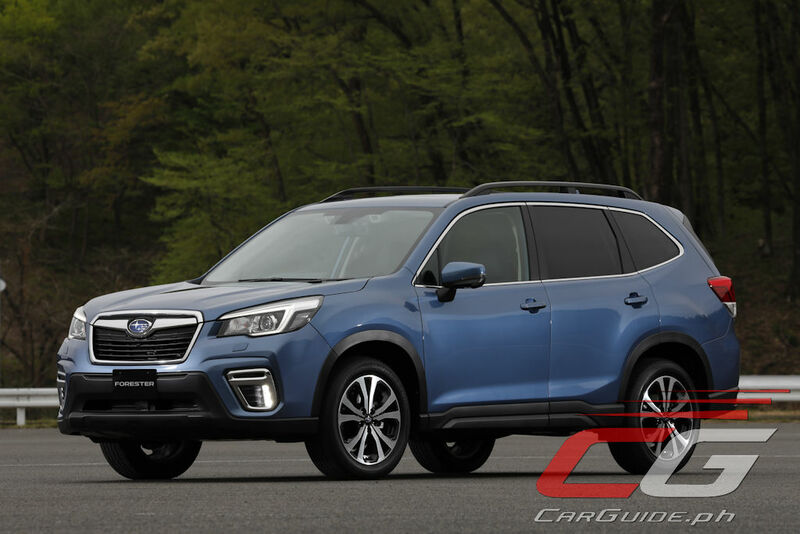 Subaru says that the new Forester is focused primarily around the (North American) customers’ needs which value practicality, comfort, and room for adventure. 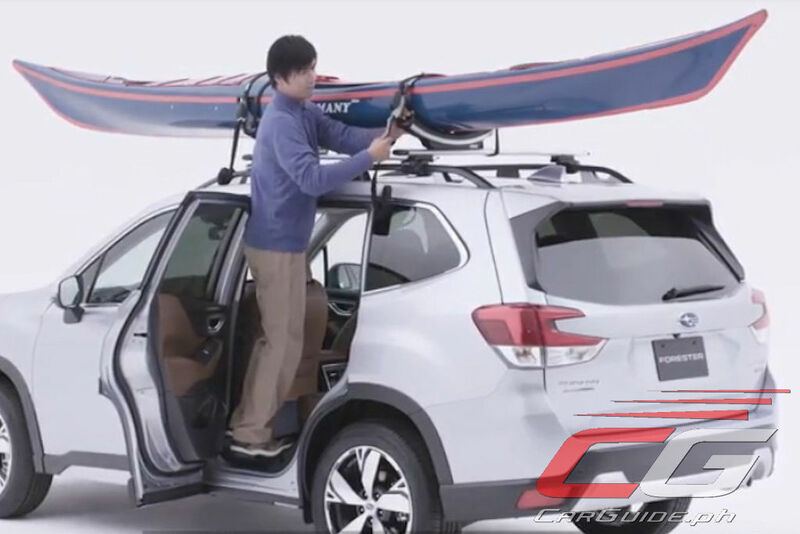 Answering those needs, the 2019 Forester offers three key attributes: Trust in Forester (Subaru’s technology such as the Boxer engine and Symmetrical All-Wheel Drive as well as heightened practicality and reliability); Comfort for Loved Ones (expanded rear space and improved riding comfort); and Stir of Adventure (“design that invigorates the mind” and heightened functionality). 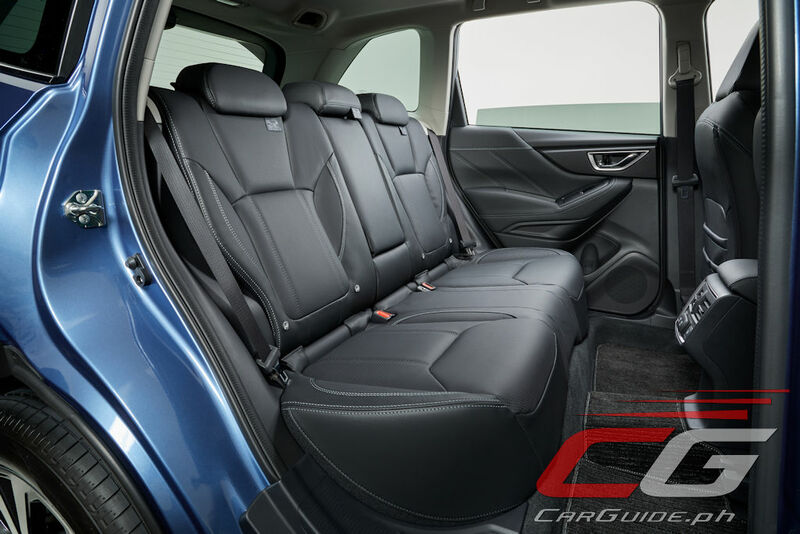 Great as the new Forester sounds for the front passengers, it’s at the back where most of the attention has gone. 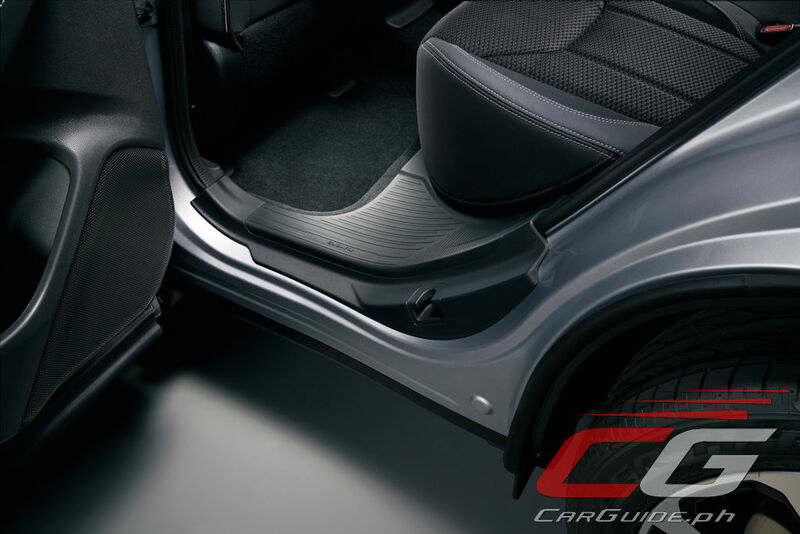 For starters, the rear doors have been specifically designed to allow a passenger easily in a tight space (just 500 millimeters or about 20 inches). When not in a confined space, the rear doors swing at a greater angle now (80 degrees versus 75 degrees) for easier ingress/egress. 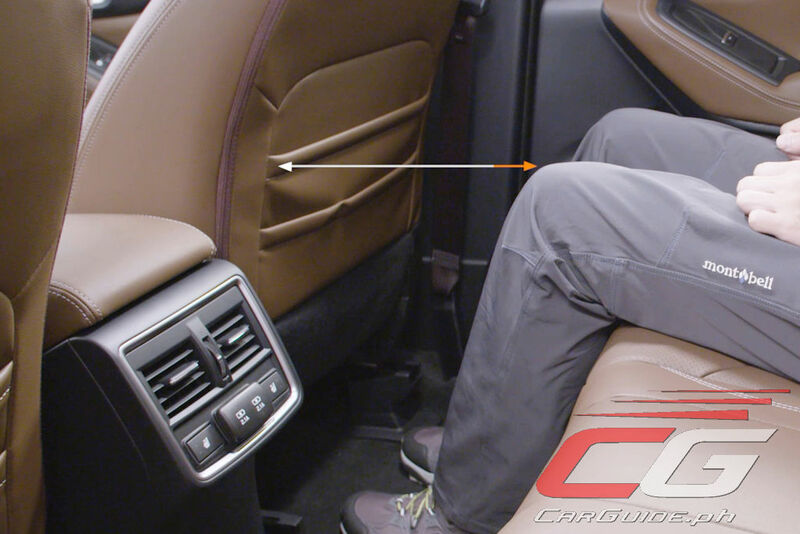 Add to that a larger distance between the rear seat cushion and door and you have less cases of having your knees bang up against the door. Oh, and rear knee room is up 30 millimeters (946 millimeters versus 913 millimeters). 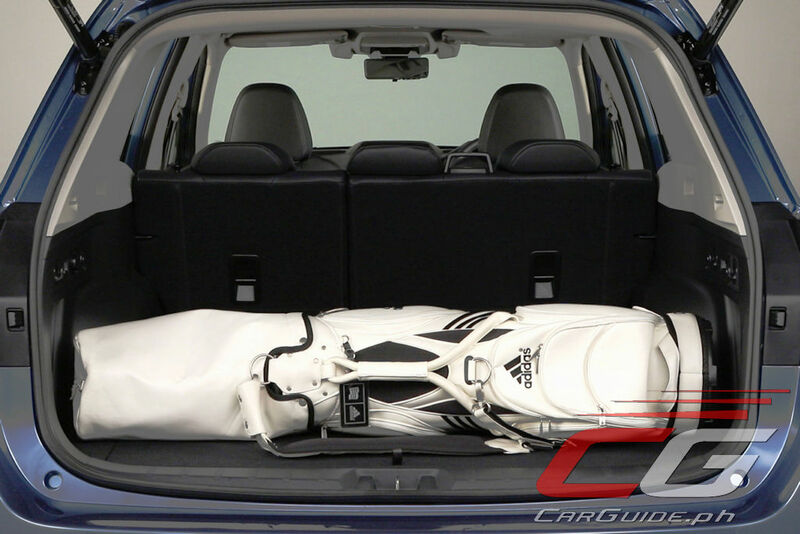 When it comes to luggage room, Subaru says it can easily fit the luggage of 4 people including a set of golf clubs crosswise. Oh, and for models equipped with a power tailgate, the opening/closing time has been quickened and now incorporates a lock switch. 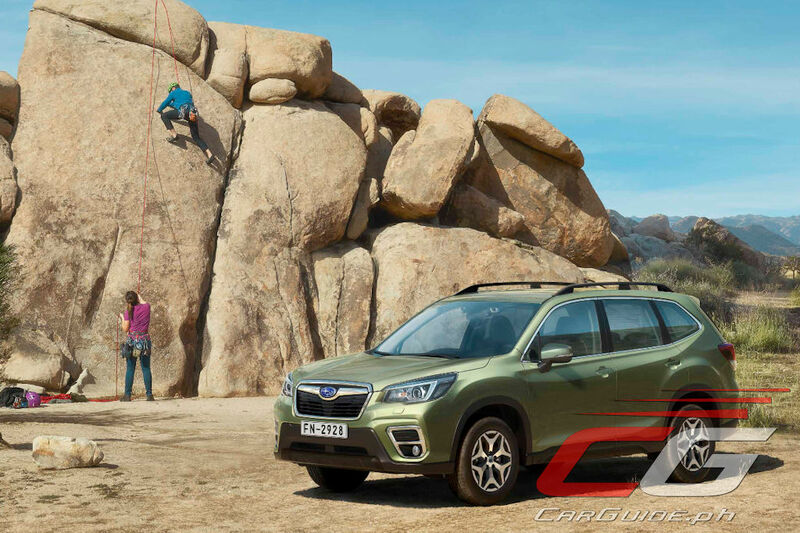 With a shift to the Subaru Global Platform or SGP, the 2019 Forester is now made of sturdier stuff. Its body is made of 4 percent ultra-high strength steel (from none in the previous model) while the use of high-strength steel is up 53 percent. 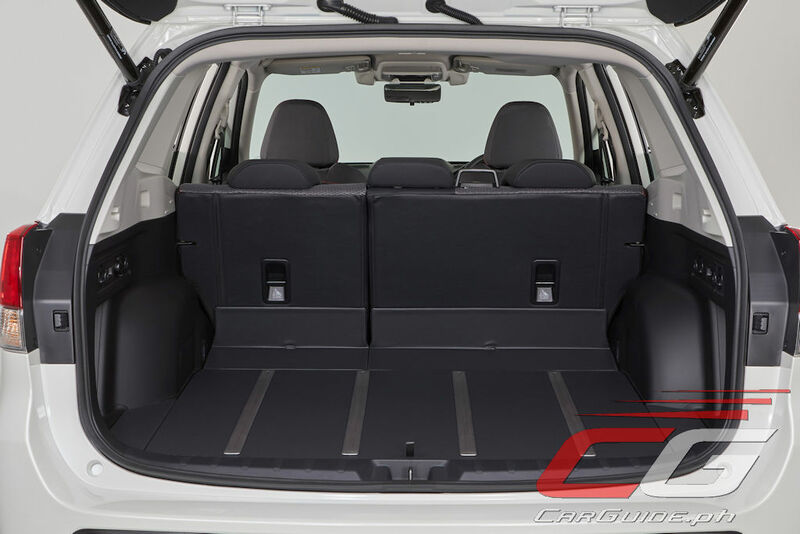 Not only does this guarantee world-class safety until 2025 at the very least, it also makes the Forester much more adept in any kind of situation. It gives up a bit in terms of low-speed maneuverability (turning radius is up by 0.1 meters to 5.4 meters), but engineers have also managed to make it more stable with 50 percent less body roll compared to before. They’ve done so thanks to a new sub-frame mounting, K-type bracing, revised stabilizer position, and structural changes to the suspension cross members itself. In fact, it can take on the double-lane change aka Moose Test at a faster speed: 88 km/h compared to the previous model’s 84 km/h. Subaru’s X-Mode system, which made its debut with this model’s predecessor has been enhanced with two modes: Snow/Dirt and Deep Snow/Mud. While Snow/Dirt model already allows torque to be transferred even quicker to the wheels requiring the most traction, Deep Snow/Mud mode allows for faster free-wheeling (needed during these situations) by shutting off the Vehicle Dynamics Control or VDC. Admittedly, the Forester doesn’t look that great. Subaru does talk about its Dynamic x Solid philosophy and all that, but the fact of the matter is it lacks outright design pizzazz. That said, it does outgun everyone else when it comes to visibility. 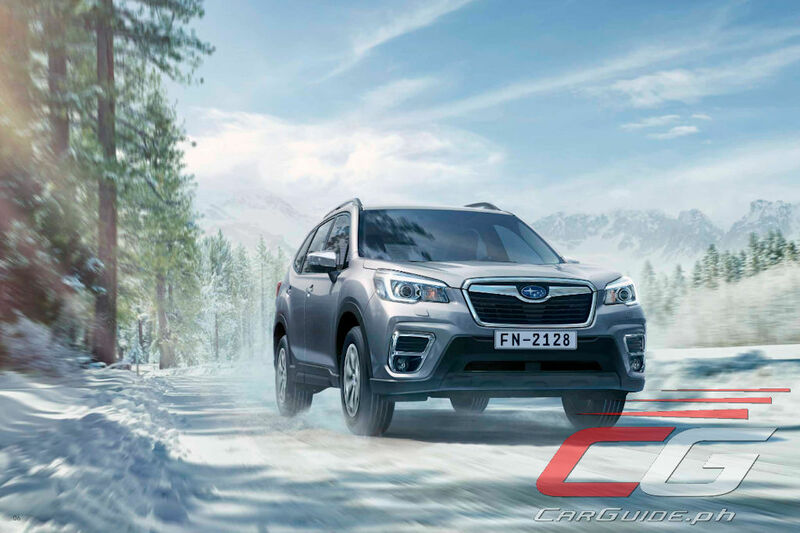 Apart from its X-Mode system which tweaks its already-capable all-wheel drive system, the 2019 Forester has genuine off-road clearance: 220 millimeters. It’s approach (20.2 degrees), breakover (21.5 degrees), and departure (25.8) angles aren’t bad either. 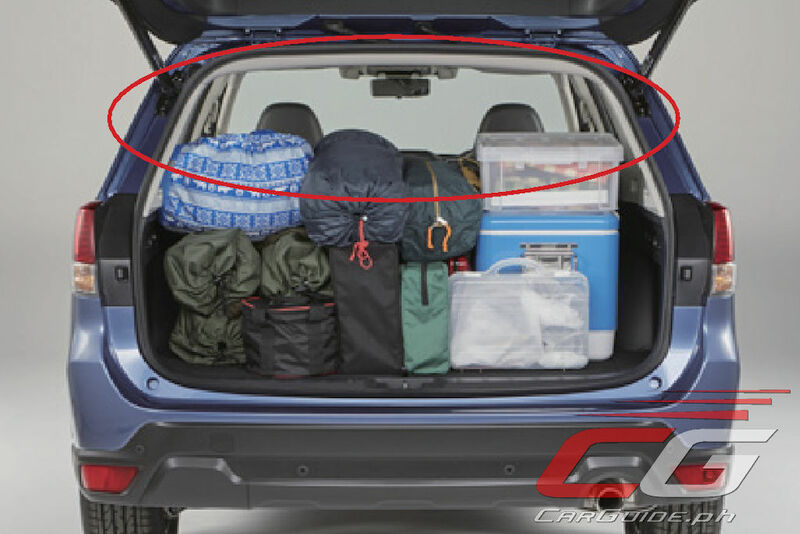 In addition, the 2019 Forester has expanded rear side sill steps to make it easier to load stuff on the road. And speaking about the roof, the exposed roof rails were purposely kept because it’s easier to tie around them compared to the in-vogue flush-typed ones which are basically just for show. 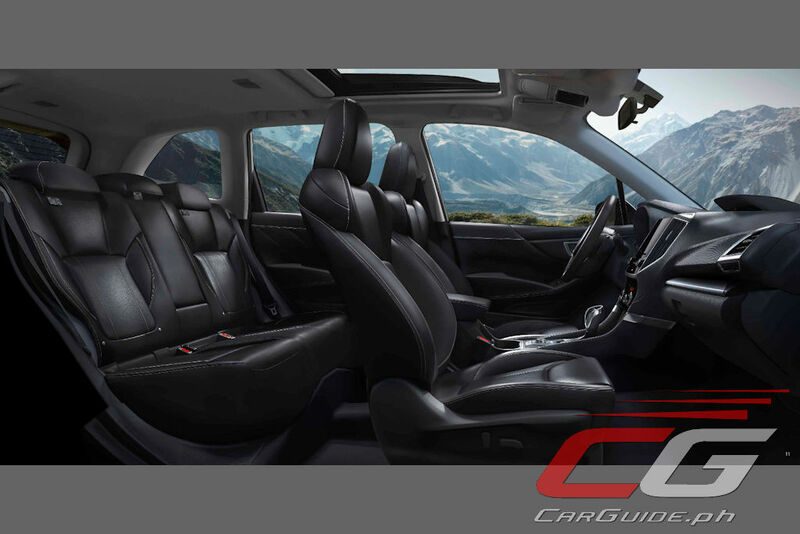 Given its brief as a family-friendly crossover, the fifth-generation Forester offers all sorts of amenities that improve passenger comfort and convenience. The seats themselves have been improved with better bolstering and support for everyone. 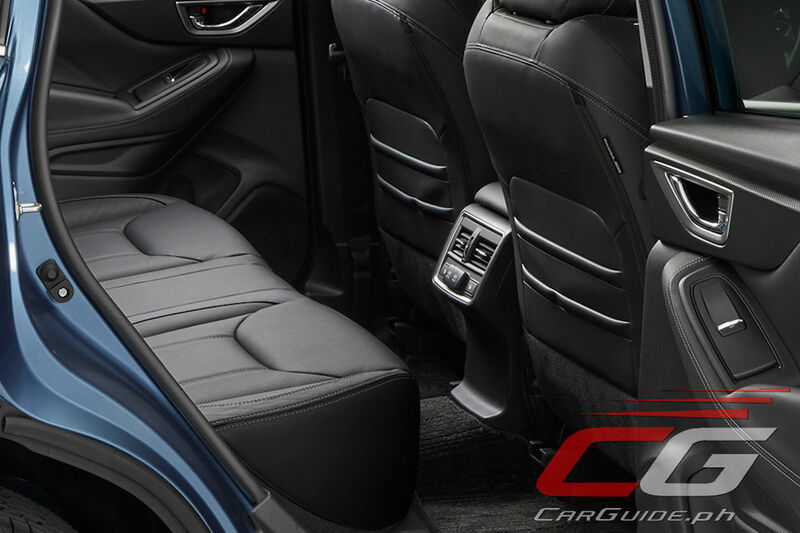 Then, the air conditioning system has been improved for faster, more efficient cooling. 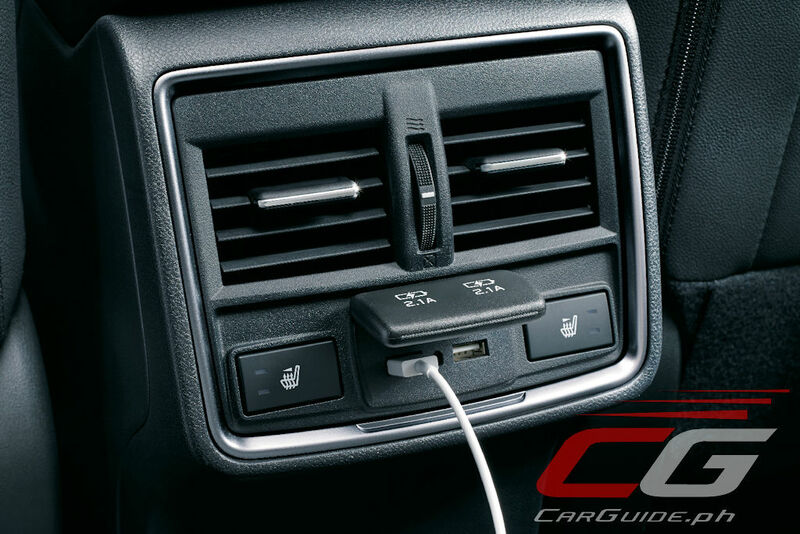 Dual zone climate control is standard as are rear A/C vents which debut on the Forester for the first time. 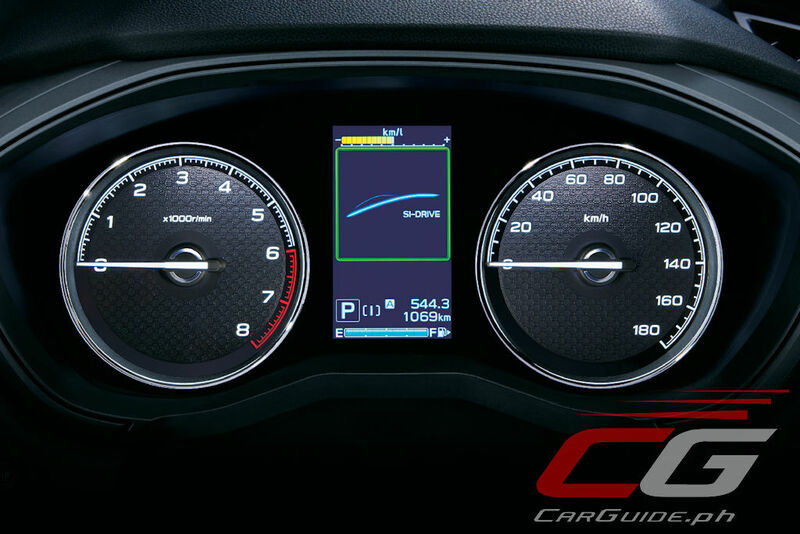 Next, there are 3 LCD screens scattered around the cabin that offers a multitude of information: a 4.2-inch meter display in-between the gauges, a 6.3-inch MFD or Multi-Function Display in the center, and an 8-inch touchscreen infotainment system. 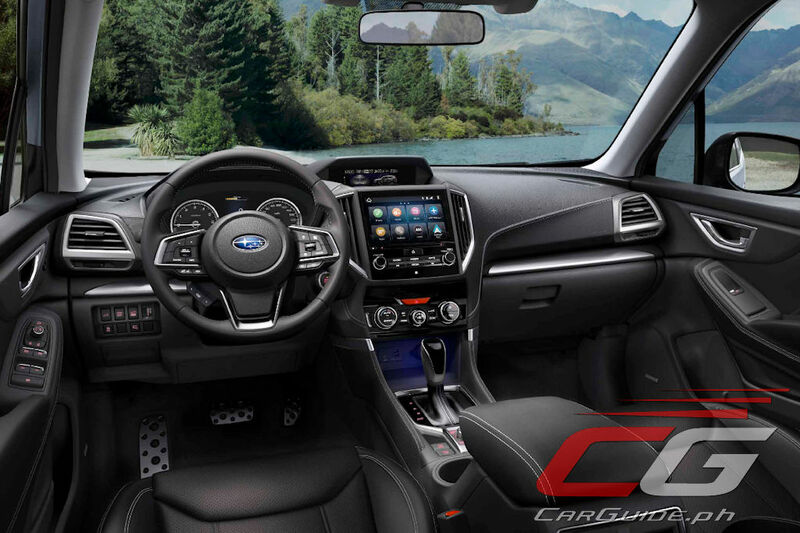 The last one happens to house Subaru’s Starlink infotainment system complete with Apple CarPlay and Android Auto. 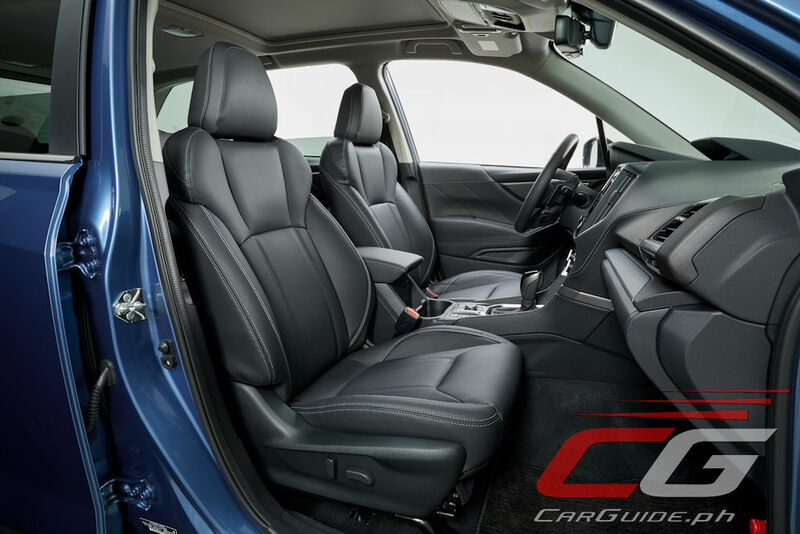 Oh, and Subaru also opted to tweak the cubby holes as well. 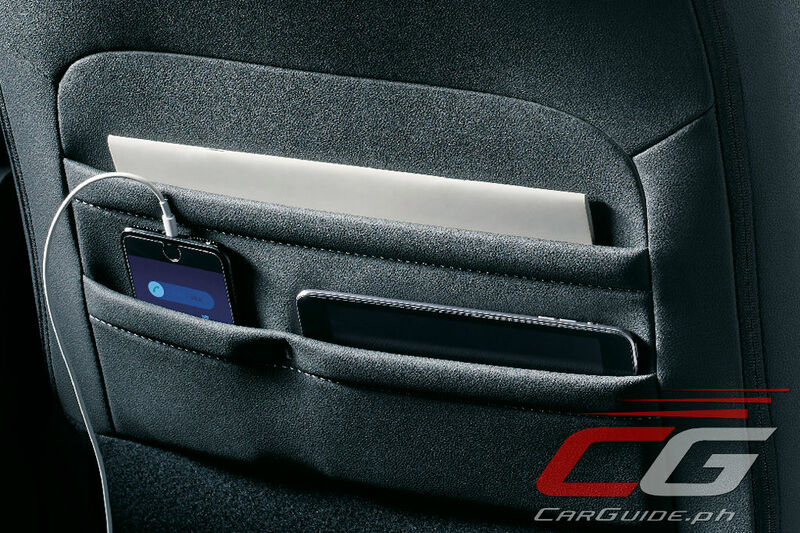 Not only does the center console box swallow a small tablet (like an iPad Mini), but the seatback pockets see some 2019 updates as well. Here, there are nifty divisions allowing passengers to organize things like smartphone, tablets, magazines, and the like. Oh, and there are fast-charging USB power points scattered around too. Okay, this is probably the first thing you’re curious about and that’s why we’re answering it last. 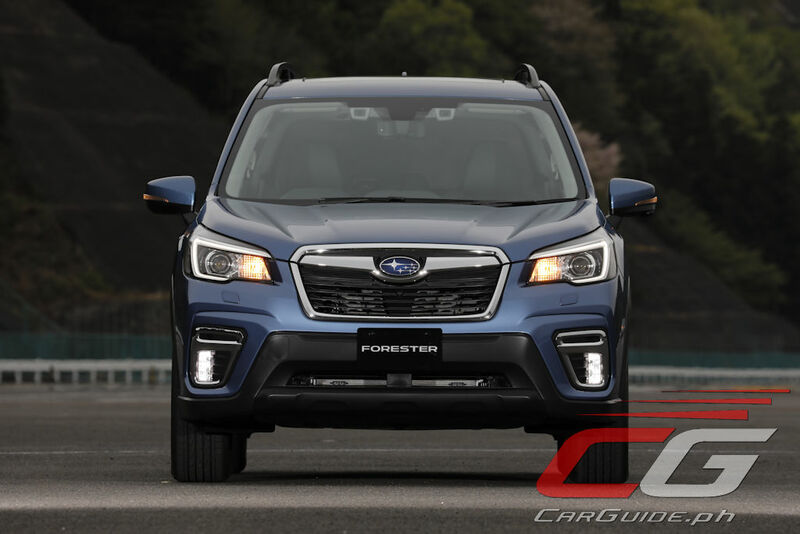 With the demise of the turbocharged engine, the Forester will be made available with a, hold your breath, a normally-aspirated 2.0-liter flat-4. If the engine sounds familiar to you, it should be: it’s the same engine found in the Impreza and Subaru XV. 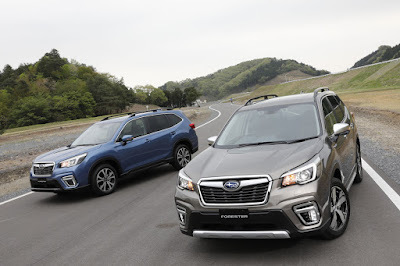 With 156 horsepower at 6,000 rpm and 196 Nm of torque at 4,000 rpm, the figures are exactly the same as they are in the Forester’s smaller siblings. Even the transmission is the same: a Lineartronic CVT. For what it’s worth though, the Forester does keep its dual-mode SI-Drive which should sharpen its responses even for a little bit. Canada is lumped together with North America. As for the engine, that’s what we thought so too. Japan gets the 2.5 and so does the US. I believe the 2.0L engine you speak of, is the possible Hybrid variant, that is rumored to follow the October launch in early 2019. 2.5 is supposed to be the standard engine at launch, for all locations. Nope. 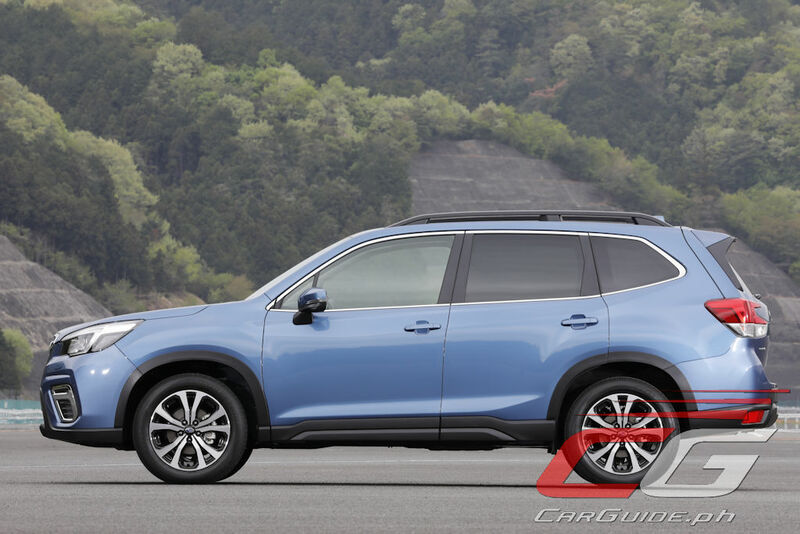 Europe and Asia gets the standard 2.0-liter (same as Subaru XV/Impreza). We don't get any hybrids. The 2.5-liter is indeed available, but not for PH market. What about the wading depth though? The U.S. version will get a slightly beefed up version of the same 2.5L boxer...not 2.0. Any idea why didnt they improved 2.0 but only 2.5 ? The 2.0 was already improved for the Impreza. 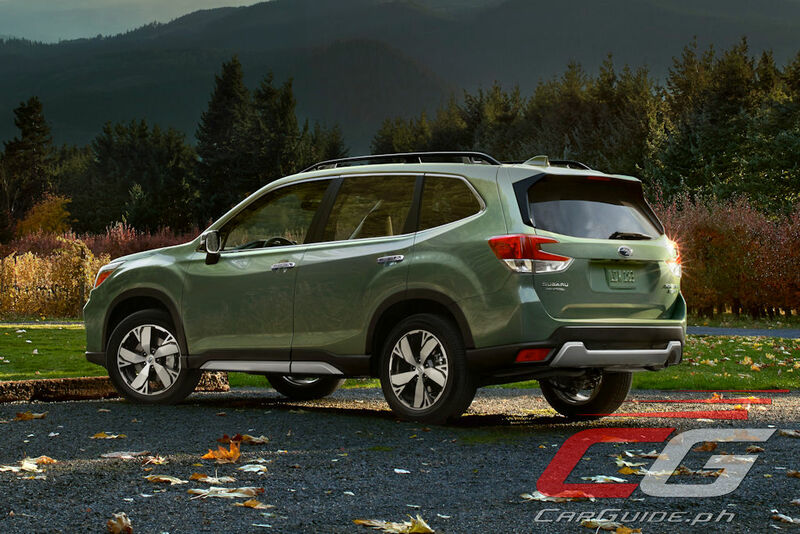 Among the changes they've done was to include direct injection (the previous Forester 2.0 used EFI). i think the main reason why Subaru chose to use the existing FB20 engine is to maintain its price as close as the old model's. 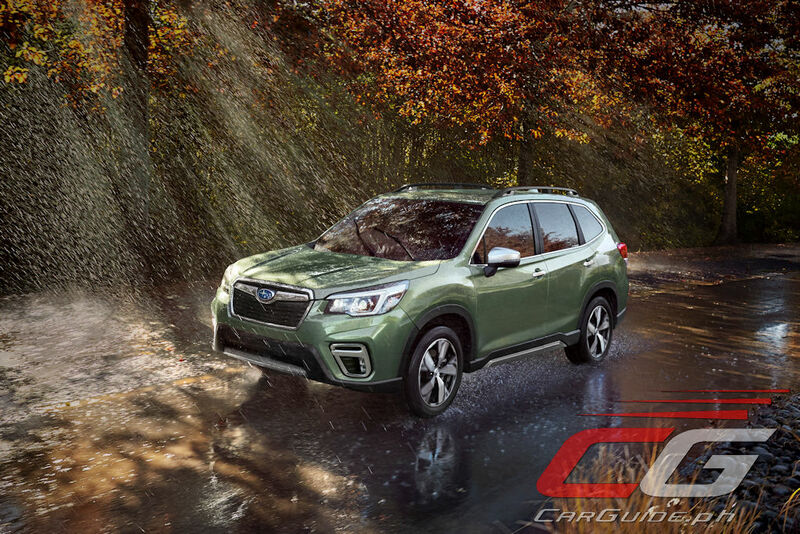 stuffing in the new 2.5 liter engine will certainly drive the price of the Forester beyond what the consumers in our country can handle.